Armed with a cosmic-powered jet pack, thirteen year-old Novie Paulec defends the world as STARFISH, tipping the scales in the battle between light and darkness. After seemingly drowning in an accident while fishing with her grandfather, Novie Paulec discovers a cosmic-powered jet pack once wielded by the hero, Starfish, a guardian of the cosmos and defender of light against an encroaching darkness. 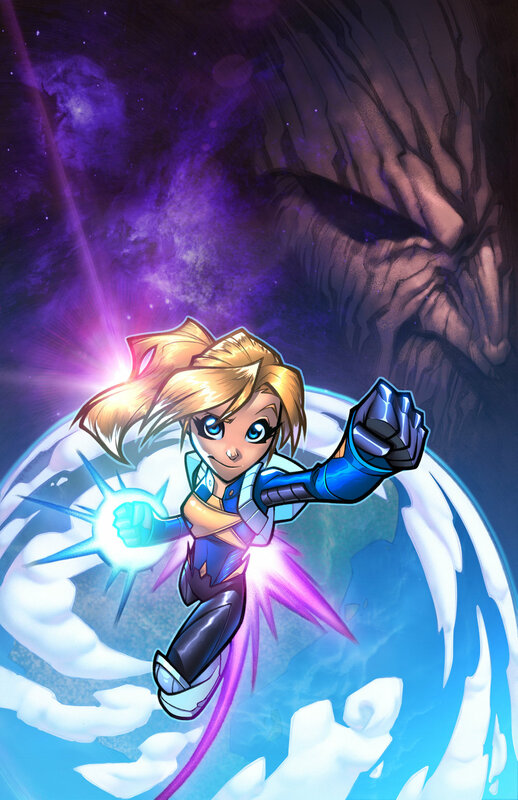 Armed with a secret knowledge of the universe and a powerful element of creation, known as an “Aeon”, Novie embarks on a mission to defend life on earth from the evil clutches of the Demiurge and his Archons, god-like beings who provoke, then feed off the evils in the world, consuming all in the process, leaving nothing but darkness. Coming of age and beginning her journey as Starfish, thwarting evil in its many forms, natural or man-made, be it hurricanes or wars, Novie quickly realizes the task is not as easy as it seems, even with the newfound power she possesses. When war begins to flare up between the United States and a small South American country on the design of The Demiurge and his Archons, Novie meets resistance from both sides entrenched in the fight, resulting in an attack on Washington DC. Novie employs the help of new like-minded friends and triggers powers in them to help stem the crisis. Realizing it’s not enough to change the status quo and save the world through physical action and brute force, Starfish learns that to truly fight evil and the dark, she must first inspire the light in others’ hearts and minds.